FORD.COM /// THE FORD TRANSIT Medium roof shown. Available features and aftermarket equipment shown. *Class is Full-Size Vans based on Ford segmentation (based on body type, body length, wheelbase and roof height). 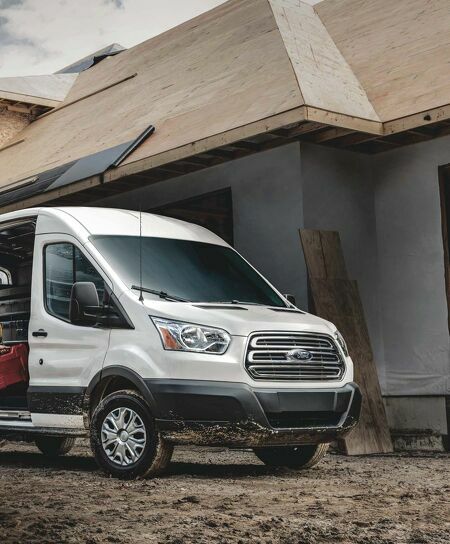 **Class is Full-Size Vans based on Ford segmentation. † Based on total U.S. reported sales (2017 CY). Three heights. Three lengths. Three engine choices. Transit has the most vehicle con gurations in its class. * And among gas-powered vans, the high-roof Transit also has best-in-class interior height. 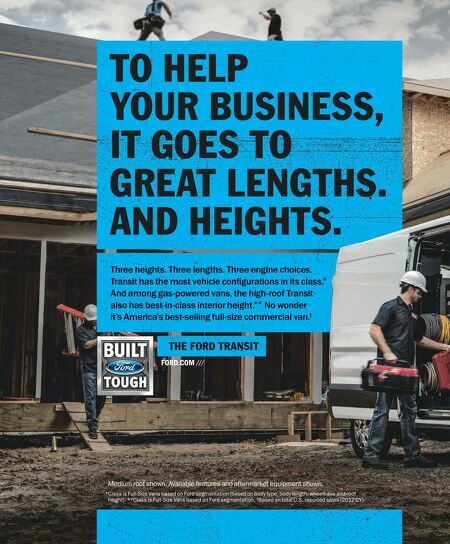 ** No wonder it's America's best-selling full-size commercial van. † TO HELP YOUR BUSINESS, IT GOES TO GREAT LENGTHS. AND HEIGHTS.